Relatively new to McCartney--need some help. on page 6 of the McCartney section to get the varying takes on the topic. Everybody here agrees that McCartney has produced some great post-Beatles material along with some very weak stuff. We just can't agree on which songs fit into which category! I agree with what everyone says, which is that it is a personal choice and you will find many variations of those opinions... but nonetheless, here are my picks! I am a HUGE RAM fan which I think is quite obvious. Probably one of my favourite Rock albums of all time. I also really love the first "McCartney" album. It's so mellow and beautiful and UGH! I just Effing love it. Wings for me are hit and miss, with the exceptions of "Red Rose Speedway " and "Band On The Run " which in my opinion are very solid albums. The others are good, just more hit and miss for me. I don't listen to a lot of his 80's or 90's music. The simple fact is that I'm not a big 80's or 90's fan in general when it comes to music, and Paul's is really no exception. I'm much more about 60's and 70's. Moving on from there I do really like "Chaos And Creation In The Backyard " as an album. Again, everything else is hit and miss. I have all of his music on my computer so maybe I just need to take the time to listen to more of it. We just can't agree on which songs fit into which category. Thanks for the link! I'm marking a lot of the recommended songs to listen to later on YouTube. The Wings albums I would recommend are Venus And Mars , and Wild Life . I like pretty much all the Wings albums, but those are my favorites (bar Band On The Run , which you already have). I think Venus And Mars is just as solid an album as Band On The Run is, I might even like it a little more. Wild Life seems to get a lot of hate for some reason, but I really like that album. The solo albums I would recommend are McCartney II , Tug Of War , Flaming Pie , and Chaos And Creation In The Backyard . This is hard for me, though, because I pretty much love all of his albums, even Give My Regards To Broad Street . Lots of input here! Aside from what they say, I could add that Wild Life , Flaming Pie and Chaos And Creation In The Backyard are very raw albums. Funny, I don't see Flaming Pie and Chaos as raw at all. I see them as finely crafted, and Chaos strikes me as the deepest and most introspective of any McCartney album. I'll toss my $0.02 in here since I'm a huge Paul fan. Ram is the best post-Beatles album by any of them and is a masterpiece. I also love McCartney, McCartney II , Tug Of War , Chaos and Creation, Flaming Pie , Memory Almost Full ...all great album. As for Wings, Band On The Run and Venus And Mars are fabulous. I also like Wild Life , and most of Red Rose Speedway and Back To The Egg . I'd agree with whoever said that [nearly] all of Pauls albums have their weak tracks- i cant stand Jet from Band On The Run . Even an album that i love such as Wild Life has the awful Bip Bop. I'd back up mja's call with Tug Of War but even then you have the incredibly dated Ebony and Ivory (just press stop or next before it comes on or you'll be in agony). I even have a fondness for Off The Ground which usually gets slated in reviews. Its all down to personal preference. There is a heck of a lot of excellent music buried which you will never regret finding. Good luck. It's interesting how people's tastes differ so markedly. I think Jet is great, and I love Bip Bop. I might have liked Bip Bop if it hadn't come immediately after Mumbo. One nonsense-type song was playful, but two in a row was like nails on a chalkboard for me. I did like Linda saying "And you go..." but that's about it. Ram is the best post-Beatles album by any of them and is a masterpiece. Listened to Ram yet again last night *and* this morning. Just perfect in every way. As are the Another Day /Oh Woman Oh Why single that came right before it. Thanks everyone for all the suggestions. I've added a few more albums to my list of things to check out (and things to maybe check out, and things not to check out). I love Ram , but I don't know about it being the best of any post-Beatles albums. I'm sure a lot of people will disagree, but I think John Lennon 's output is generally better. My favorite John Lennon album is probably Walls And Bridges . I'm not saying it's technically better than Ram , but I like it a lot more. I like the way it makes me feel more. 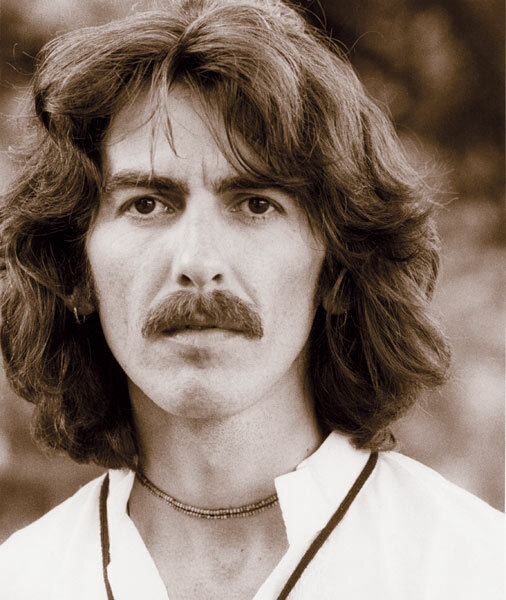 ^^ Walls And Bridges is my favorite John album, but if I had to choose a favorite among all solo albums, it would be George's All Things Must Pass . John's solo output is pretty poor overall...Plastic Ono Band is a great album, Imagine has some great cuts and a lot of filler, and Walls And Bridges is great, but apart from a handful of tracks, the rest of it is lousy. George really tailed off, quality-wise, after Living in the Material World, again apart from a handful of tracks. McCartney, Ram , Band On The Run , Venus And Mars , Back To The Egg , Tug Of War , Flowers In The Dirt and Driving Rain . Well, I'm sure we all have very strong opinions. I just happened to notice that most of my favorite Beatles songs were written by John Lennon , so I was certain that his solo career wouldn't disappoint me, and I wasn't disappointed. The one thing that I noticed is that his later work was more simple and direct, but it works for me. We all love different things about The Beatles. I know there's gotta be some people like me who loved the Beatles so much as a perfect BAND, and find their solo works disappointing as a result. Although there's some excellent stuff out there undoubtedly, my absolute favourite solo albums (of which there are several) probably would rank no higher than my least favourite Beatles album. I don't think you're alone. In fact, I think your opinion is that of the majority of fans. As much as I love some of their solo albums, I always say the whole was greater than the sum of the parts. It's quite a legacy to live up to.